The orchid family is the second-largest family of plants. (Only the daisy family has more species). Orchids grow on every continent except Antarctica. 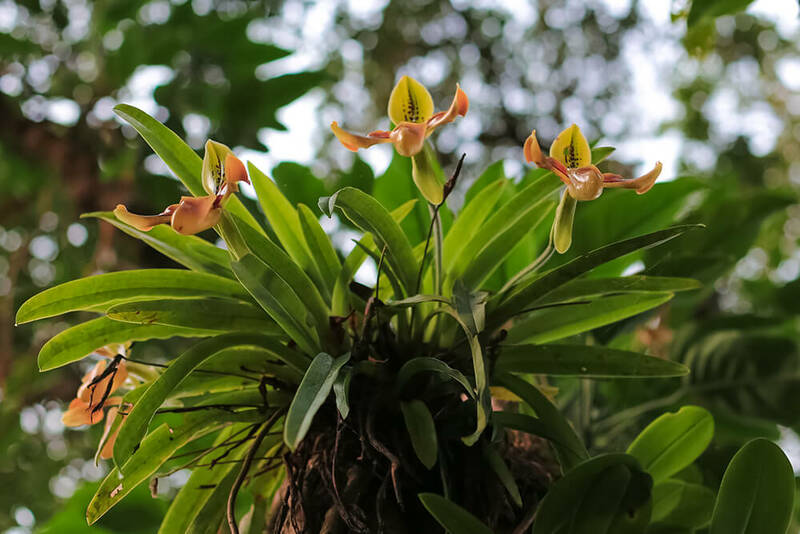 In temperate regions, some grow in soil, but most orchids are tropical epiphytes (plants that grow without soil, on other plants) that sprout in the treetops. Many dwell in specialized natural niches so small that any disturbance of the habitat can mean extinction. Orchid flowers evolved to attract pollinators—which can be various species of bees, moths, butterflies, flies, and hummingbirds. These pollinators are attracted by odor, shape, nectar, color, or some irresistible combination of these factors. Orchids have an endless number of fragrances that range from the sublime to the overpoweringly sweet, to the really stinky. Charles Darwin was fascinated with orchids and their unique and bizarre adaptations. Based on his knowledge of orchids and their pollinators, when he examined Madagascar's Star of Bethlehem Orchid Angraecum sesquipedale, he predicted that the flower's pollinator must be an insect with an extremely long tongue that could probe deep enough into the orchid's 12-inch (30-centimeter) long spur to reach the nectar at the bottom. His entomologist contemporaries ridiculed him for such a suggestion, but Darwin had the last laugh. About 40 years later, the orchid's pollinator was discovered, and, sure enough, the Xanthopan moth had a foot-long proboscis that it kept rolled up when it wasn't out nectar hunting. An orchid's thick, spongy roots absorb water and nutrients from rain and dew. In some species, the roots are green and can photosynthesize, too. As you might expect in such a large family, orchid flowers are quite diverse, but they all have three petals surrounded by three sepals. One petal (called the lip) looks quite different than the other two petals and sepals; it typically provides the perfect landing platform for a pollinator. Protected by the petals and sepals, a central column consists of male and female reproductive parts. Pollinated orchid seeds are tiny—they look like fine powder. That's because each seed holds just a few cells of genetic material, without any food for the developing embryo. When an orchid seed lands on another plant, a specific microscopic fungus invades the embryo and lives there, providing water and nutrients. Eventually, the orchid grows and makes its own food—and energy—by photosynthesizing. The fungi are still in the roots, through; they continue to help providing the orchid with water and nutrients, and in return they get sugars and energy created by the orchid. Botanists describe this type of root partnership as "mycorrhizal." Explorers who brought exotic orchids to Europe gave way to Victorian-era "orchid hunters" who sought out new species—and often plundered native populations while destroying habitats in the process. At home, horticulturists struggled to propagate the plants until 1922, when Lewis Knudsen of Cornell University discovered how to germinate orchid seeds in an agar jelly. 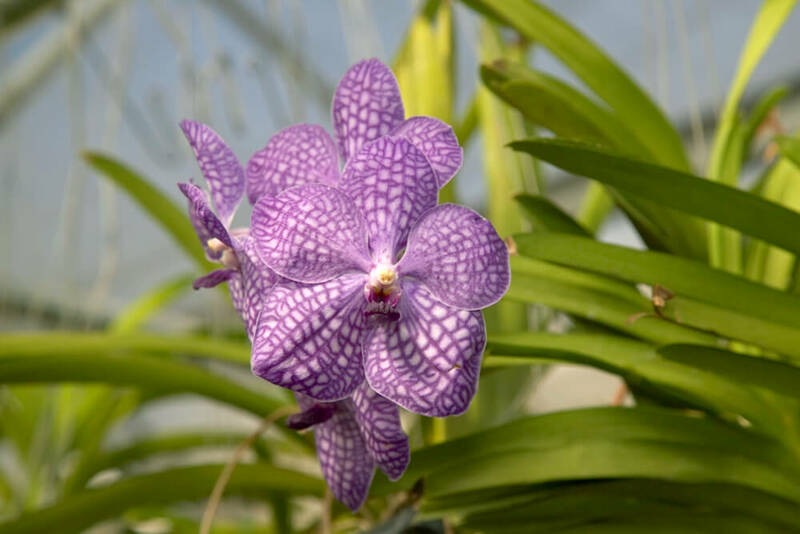 Today, successful cultivation and hybridization has resulted in the development of tens of thousands of named orchid hybrids. Orchids sold as ornamental plants or for the floral trade represent species of more than 200 natural and hybridized genera. Other orchids have even more to offer; the seedpods of Vanilla planifolia are the source of the beans processed into vanilla extract, and Dendrobium species are used in Traditional Chinese Medicine. 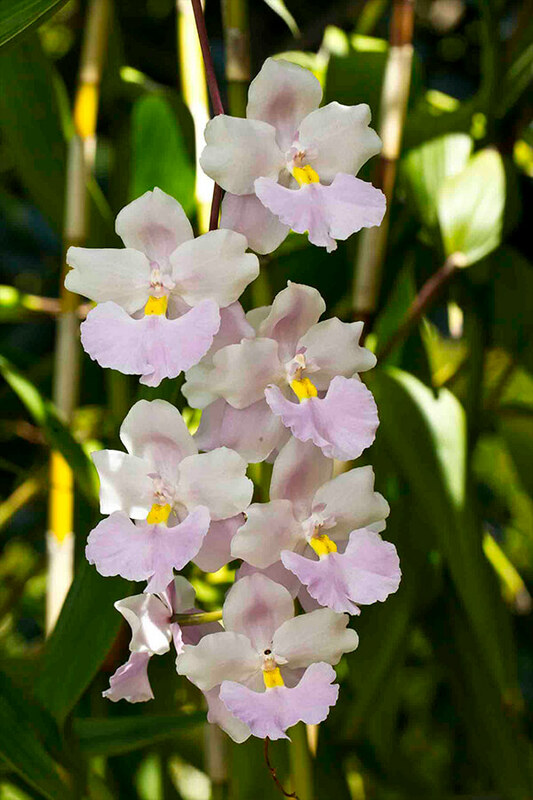 Many orchids are endangered, mostly due to habitat destruction and over-collection. The IUCN has assessed 880 species of orchids, and categorizes more than 500 of them as Vulnerable or Endangered—and of those, 162 are Critically Endangered. All orchids are protected by CITES. It is illegal, whether for profit or pleasure, knowingly or unknowingly, to transport orchids across international borders without the proper paperwork. San Diego Zoo Global assists in the conservation of orchids. The San Diego Zoo is a Designated Plant Rescue Center. The Orchid House, with more than 900 orchid taxa, provides an appropriate environment for plants that have been confiscated from the illegal orchid trade. Zoo horticulturists grow, propagate, and share orchids with other botanical gardens. The species name sesquipedale is Latin for "one and a half feet," a reference to this flower's long nectar channel. This is the orchid that fascinated Charles Darwin—you can read about it in the OVERVIEW section above. Unlike most Cattleya species, this plant's blossoms are only an inch (2.5 centimeters) wide, but they are very fragrant. 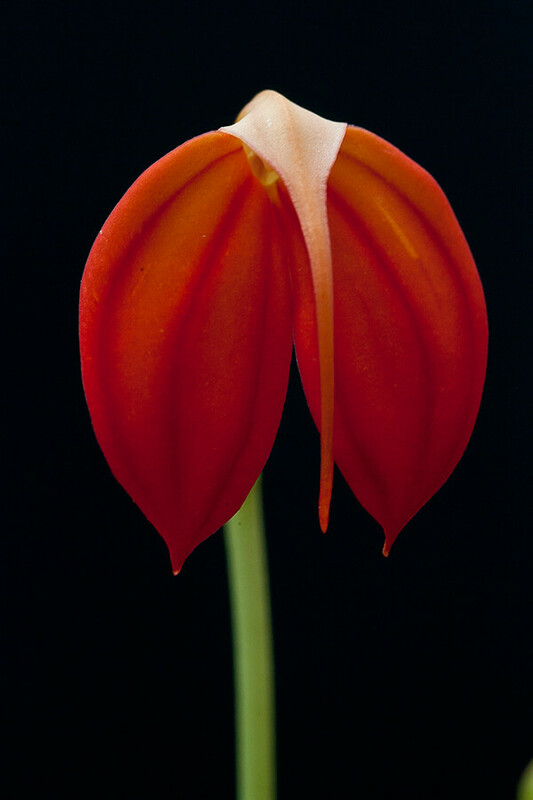 The species name aurantiaca means "orange" in Latin, describing the brilliant color of the blooms. Not all orchids have scents that match their beauty. The Christmas orchid—so named because it blooms at Christmastime in the Southern Hemisphere—emits an odor reminiscent of a stinkbug! There are about 1,600 species of Dendrobium orchids, all native to the Australasia region. The species pictured here is from Thailand and has a pleasant banana-and-orange scent. Native to southern Florida, the roots of this leafless orchid have taken on the role of photosynthesis. A plant often goes unnoticed until its large while flower appears. As the name suggests, this orchid doesn't like the light of day. The bizarre blossoms tend to wither rather quickly as the sun rises. This lemon-scented beauty from Mexico is endangered. There are many Laelia orchids growing in the San Diego Zoo's treetops. You can see a number of them from the top of Fern Canyon. You'd have to trek about 2 miles (3.2 kilometers) up into the mountains of Colombia to hope for a glimpse of this brilliantly fuchsia-colored orchid in the wild. This orchid smells like coconut cream pie. Ants take shelter in the dried, hollowed bulbs of this orchid. Look for this orchid in Fern Canyon at the Zoo. 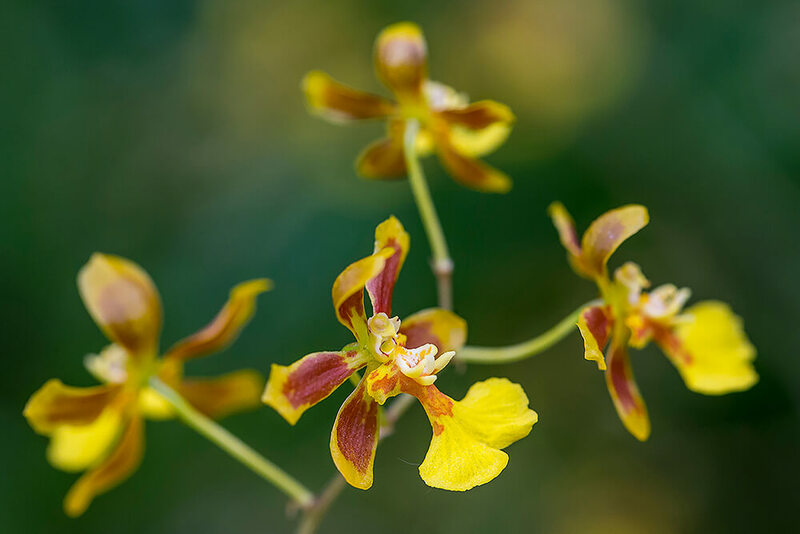 If you were a male butterfly of a certain South American species, an Oncidium orchid would be irresistible. To humans it looks like a dazzling orchid, but to him it looks like a female that's ready to mate! Native to certain areas of the Chinese Himalayas, this critically endangered species was not even discovered until the 1980s. This rare species was first discovered in 1885 but was not found again for about 100 years. Its unique petals can reach lengths of more than 2 feet (61 centimeters); they provide a "ladder" that pollinating insects climb to access the flower's pollen. With its striking maroon and yellow blossom, this critically endangered species is a delight to see in bloom. Not only does this flower look like a large, hairy spider, it blooms under the leaves—just where a tarantula might hide. This orchid's seedpods are the source of vanilla beans. 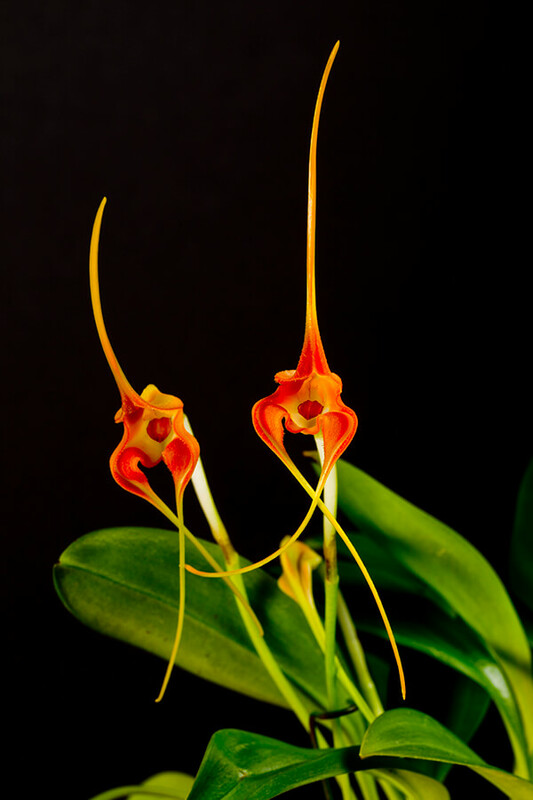 One of the most commonly collected "zygo" orchids, this species shows a striking color contrast between its lip and its sepals and other petals. The boldly striped and mottled orchids are native to Central and South America, where they grow in hill and mountain forests. Join us at the San Diego Zoo the third Friday of each month between 10 a.m. to 2 p.m. to explore the Orchid House. Vanilla planifolia is grown in many regions of the world for vanilla production, but the plant is native to Central America. The Aztecs were among the first to use the flavoring; they added a bit of vanilla essence to enhance the taste of chocolate. Today, of course, vanilla stands on its own. It's one of the most labor-intensive agricultural crops in the world. Not only are the beans harvest by hand, cooked, dried, and cured, the flowers are individually hand-pollinated! We take the outrageously spectacular Cattleya orchids for granted, since they're used so often in corsages and bouquets. Ironically, their discovery by the Western World was entirely accidental. In the early 1800s, a plant hunter gathered a bunch of rooty-looking plants to use as packing material for a shipment of exotic Brazilian plants. When the crate arrived in England, William Cattley decided, on a whim, to try flowering some of the packing material—just in case anything interesting turned up. Cattley's homely plants yielded a number of fantastically beautiful flowers that were eventually named for him. In the early 1900s, Rudolf Schlechter discovered numerous orchids as he explored what is now known as Papua New Guinea. He named Dendrobium alexandrae after his wife Alexandra, and brought it back to the greenhouse on their Berlin estate. During World War II, however bombing destroyed the specimen. Fortunately, botanical illustrators had made drawings of Schlechter's rare find, so when another was discovered in Papua New Guinea much later, it was correctly identified. Native to the Australasia area, there are about 1,600 species of Dendrobium orchids.